The clean diesels are coming from across the Atlantic, and with three models currently on sale in North America (ML-, R- and GL-Class variants), Mercedes-Benz is at the front of the pack. While North Americans still aren’t used to the concept of diesel vehicles, drastically lower CO2 emissions, high fuel economy potential and an increasingly stringent foreign fuel market all but point to diesel as the short-term savior of personal transportation. So basically, get used to it. But there is really not that much to get used to, because as long as you don’t look at the sub-5,000 rpm redline on the tachometer, it can be hard to tell the difference between a modern gasoline or diesel engine. Where you will notice the difference, however, is at the pumps. EPA estimates rate the ML320 BlueTEC at 24 mpg highway, a significant improvement over the gasoline V-6 version’s 20 mpg rating. But there’s a good chance that if you watch your driving habits, you’ll see even higher numbers than that. All this while enjoying just about the same amount of torque delivered by the 5.5-liter V-8-powered ML. Plus, we have yet to meet the soul who won’t go for a $900 alternative fuel tax credit. The core appeal of the ML320 BlueTEC lies in its ability to deliver all the utility of a massive SUV with the gas bill of the common sedan. The interior is filled with class and swathe leather, feeling every bit Mercedes-Benz. Adaptable suspension gives the chassis taught, controlled feel when you want it, and a plush, cushy ride when you don’t. $900 in your pocket is a nice perk as well. The shifter is operated by a tiny stalk on the steering wheel and is similar that of the S-Class and CL-Class, where we really like it. In an SUV, however, it feels miniscule and flimsy. We would prefer something more chunky and tactile in its place. Steering feel is minimal and the rack is overly light, making precise inputs difficult. Rear-seat entertainment system appears to have been pilfered from a shelf at Pep Boys. The ML320 BlueTEC hits the Mercedes-Benz SUV nail straight on the head, providing a soothingly quiet ride and ergonomic interface. Smooth revs are what the diesel is all about, unless you cross the 4,000 rpm line where it starts to churn a bit. Being as this is also where power starts to trail off noticeably, we doubt you will venture so “highâ€ in the rev range very often. Anywhere above 2,000 rpm, the torque shove is decisively serious and moves the ML320’s mass with ease, if not vigor. The engine’s relaxed personality matches the chassis well, especially when the adjustable suspension is kept out of its taut sport mode. Steering, on the other hand, is lazy and light, leading to inaccurate inputs due to lack of tactility at lower speeds. It improves as speed increases, but never really weights up fully. In the BlueTEC, good things come to those with patience. 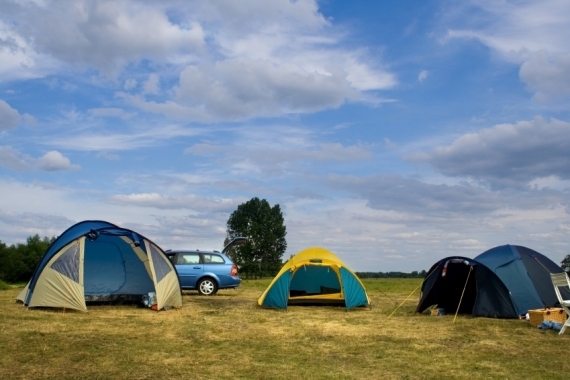 If you can drive close to 60 mph on average, prepare to see impressive fuel economy figures. 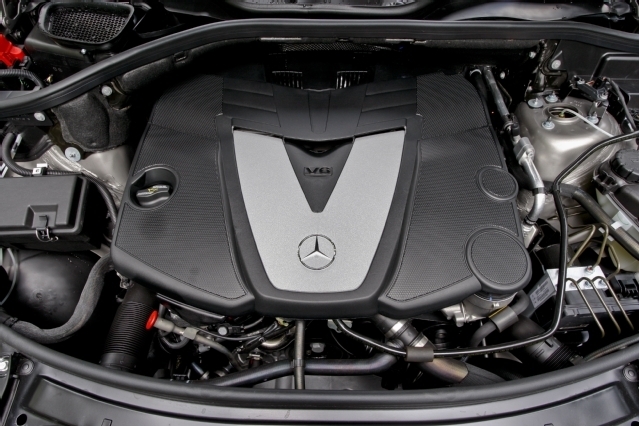 The ML320 BlueTEC is powered by a 3.0-liter turbocharged 24-valve V-6 diesel engine. It produces 210 horsepower and a massive 398 lb-ft of torque at a very low 1,600 rpm. A seven-speed automatic transmission is used to push power to all four wheels. All of that is good for 0-60 in a marginally surprising 8.0 seconds. Clean emissions are made possible by the BlueTEC system, a multi-stage post-catalytic converter system that cleans up nasty diesel fumes. First, particulate filters grab 99 percent of particulate emissions, then cleverly burns them off as necessary at a later time. Next, a liquid solution called AdBlue is injected into the exhaust, and through a sequence of chemical reactions that we quite frankly don’t truly grasp, turns NOx molecules into water. So at least that BlueTEC name finally makes some sense. 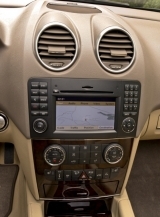 A Mercedes-Benz just wouldn’t be the same without a lot of tech add-ons, but one we would recommend buyers skip is the rear seat entertainment system that tacks clunky monitors onto the backs of the front seats. Adaptive Airmatic suspension is available and bestows upon the ML multiple personalities (all of which are good) to suit any condition. Nav does not come standard, but is packaged with a rearview camera, iPod interface, premium audio and a power rear lift gate. Now this is where the ML320 BlueTEC shines. At first 18 mpg city, 24 mpg highway may not sound impressive, but factor in a curb weight of nearly 5,000 lbs and a bulky all-wheel drive system and it becomes clear just how efficient this engine manages to be. 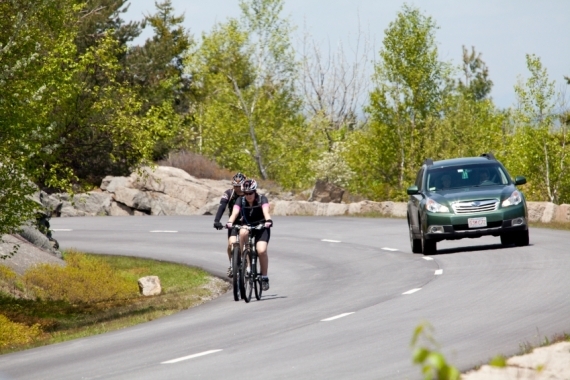 Equally important is the 50-state diesel certification and ULEV emissions rating. There is a lot of leather in here, and we mean a lot. Basically everything is covered in soft, smooth cowhide and every material you can find is soft to the touch. 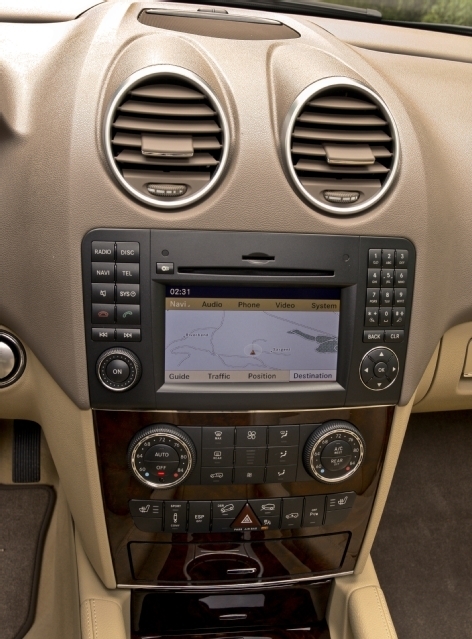 No touch screen is used for the COMAND system, but rather a dial on the center console is used to browse the menus. The iPod connector is located in the glove box, which can make connecting your digital jukebox while driving somewhat tricky. The ML masks its dimensions well from the outside, its upturned nose and angular windshield hiding its nearly six-foot height. As the standard 19-inch wheels actually manage to look small under the bulky ML, 20 inchers are naturally found on the lengthy options list. There are a few BlueTEC badges stuck to the bodywork, but nothing obnoxious. 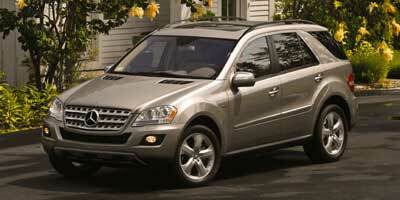 With an MSRP of $48,600, the ML320 BlueTEC comes in at $4,000 above the gasoline-powered ML350. But when you consider the 350 goes without all-wheel drive standard and factor in the $900 tax credit for the BlueTEC, there isn’t much of a premium to be paid for diesel efficiency. Its main diesel competitors are the BMW X5 xDrive35d ($51,200), Audi Q7 3.0 TDI Premium ($50,900) and Volkswagen Touareg TDI ($42,800). Domestic competition comes in the form of the $50,455 Chevrolet Tahoe Hybrid. Without a doubt, it is going to take the American market time to adapt to new diesel technology, but the SUV market seems like the perfect place from which to launch these new torque-laden oil burners. The large luxury SUV has been the victim of a thorough and endless media barrage for the past year and is in desperate need of some good PR. 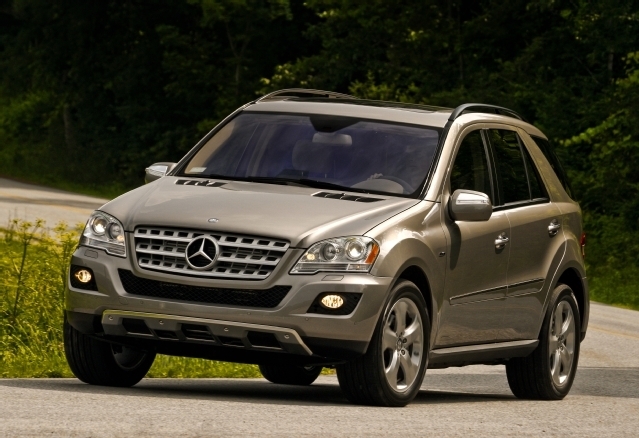 At nearly 25 mpg highway, the ML320 BlueTEC may be perfect poster child for the segment.